In today’s world and age, communication is the essential factor to maintain our relationships, especially with long-distance friends and family. Technology has made things easier in recent years. Mobile phone brings people closer while they are physically far away. If you are in different cities, then you don’t have to wait for weeks and months, you can just connect with your loved ones through calls and messages. Calling is real-time and quick; It is much more personal than text messages or instant messages. Hearing someone’s voice over the phone is always special. When making a call, rates per minute can vary depending on your network provider. Calling charges set by telecom companies are mostly high which restrict us from initiating a conversation over the phone. Choosing the best connection for yourself, depending on your choices and needs. If you don’t want to miss the opportunity to talk to your friends, family or anyone at incredibly cheap rates, then Zong can help you. For high-quality calls at cheapest possible rates at any time of the day, you should subscribe to daily unlimited offer now. You can either dial *522 or can send “PK” to 522. Wait until you received a confirmation message from Zong. Now you can make unlimited calls to every Zong number at just Rs 12 + tax. When you are using Zong, you can expect these rates from the company. Standard setup charges on each call will apply. Zong daily unlimited offer not only gives you the benefit of unlimited Zong to Zong calls, but you will also get 1 Mbs of mobile data as a treat. The offer is only valid for prepaid users of Zong. Call to off-net numbers, and international numbers will apply as per package plan. This offer is auto-renewable if you have sufficient balance. FED taxes will apply according to your regions. On recharge and bill withholding tax of Rs 12.5% will apply. The offer will automatically renew at midnight so if you want to deactivate daily unlimited offer by sending SMS “unsub” to 522. Now save on calling rates with a daily unlimited offer. With lowest rates, you will be able to enjoy unlimited calling from Zong to Zong. 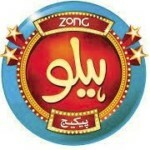 Zong daily unlimited offer is the answer to your problems which gives you endless high quality calling at lower rates. Whether you need to stay in touch with your friends and family or want to communicate with other contacts, then Zong daily unlimited offer makes it possible to stay connected without stressing about high calling rates.